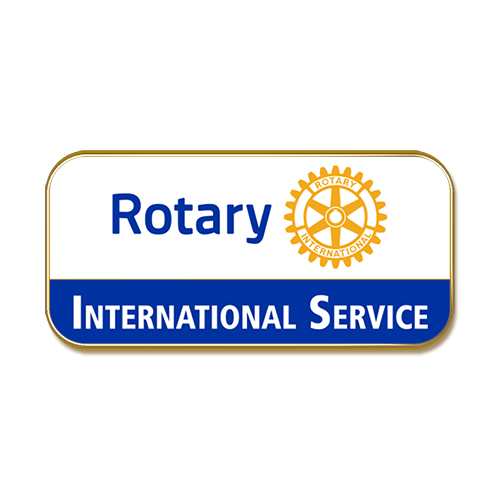 Would YOU like to travel abroad on a Rotary Service Project? District 7910 has two service trips coming up that are accepting participants. Deadline are approaching so move quickly! Moca, Puerto Rico November 15-19. T he mission would include a vaccination clinic for Influenza and typhoid that would benefit 500 people in Moca. Dr. Lemuel Soto will work with Rotary, church and Municipal officials to organize the clinic on Sunday, November 18th. In addition we would work hands on to help repair the Moca Rotary Club's property that was damaged by the hurricane as well as identify new cases to deliver new beds, appliances and supplies to those who have not been able to get back on their feet since the hurricane. Click HERE for more information. Panajachel, Guatemala, March 23-30, 2019. 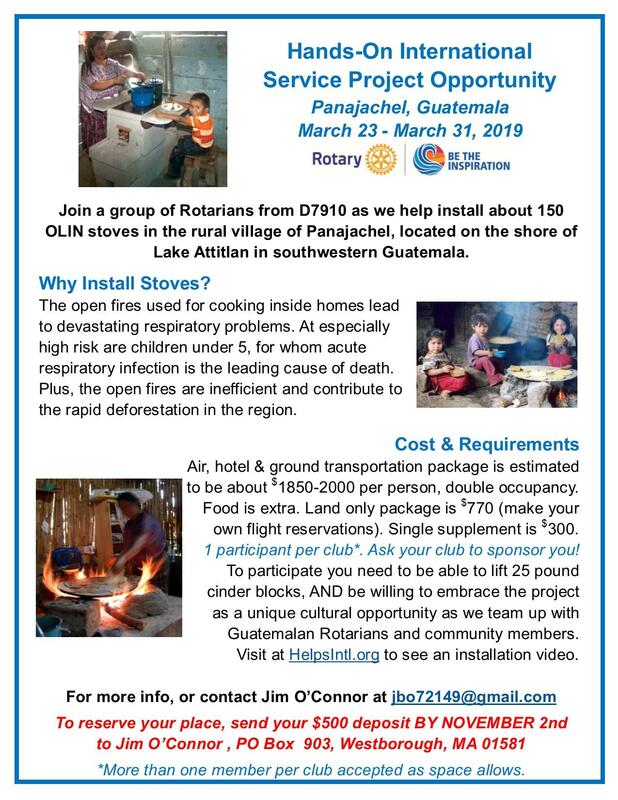 This project involves installing stoves in the rural villages around Panajachel, Guatemala. This International Service project is done in collaboration with several Guatemala Rotary. Cooking on an open fire in an unventilated area increases respiratory diseases and burn injuries, particularly with mothers and children. It also results in rapid deforestation as open fires are inefficient. These stoves will improve the ventilation in homes thereby decreasing the carbon monoxide, it will reduce injuries, and will decrease wood consumption by at least 50%. Click HERE for more information. Deadline to sign up is November 2nd.